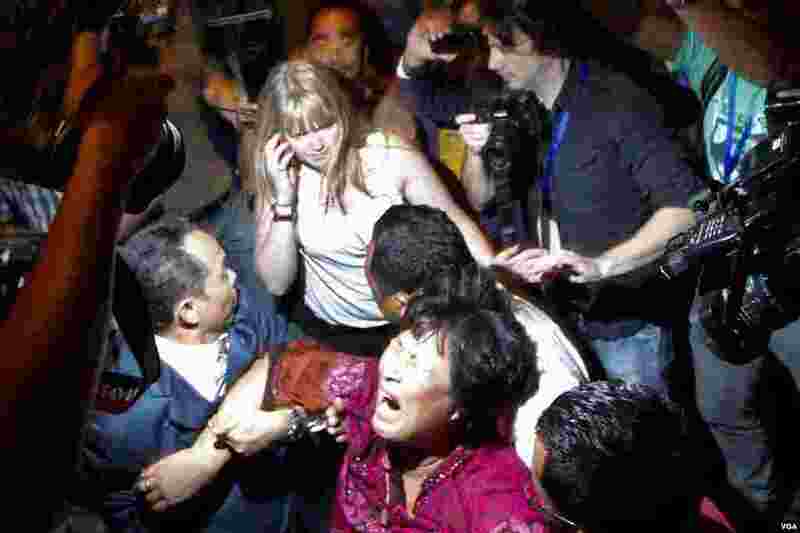 1 A Chinese family member of a passenger onboard missing Malaysia Airlines Flight MH370 screams as she is being brought into a room outside the media conference area at a hotel near Kuala Lumpur International Airport, March 19, 2014. 2 A Chinese family member of a missing Malaysia Airlines MH370 passenger is escorted away from the media outside the media conference area at a hotel near Kuala Lumpur International Airport, March 19, 2014. 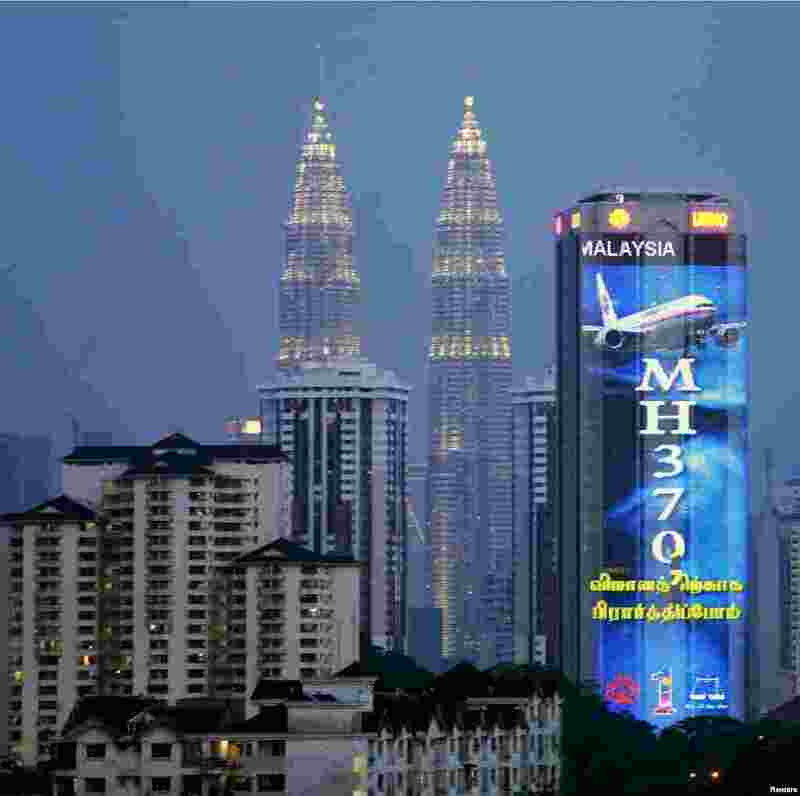 3 An image in support of Malaysia Airlines Flight MH370 is seen on the United Malays National Organisation building in Kuala Lumpur, March 19, 2014. 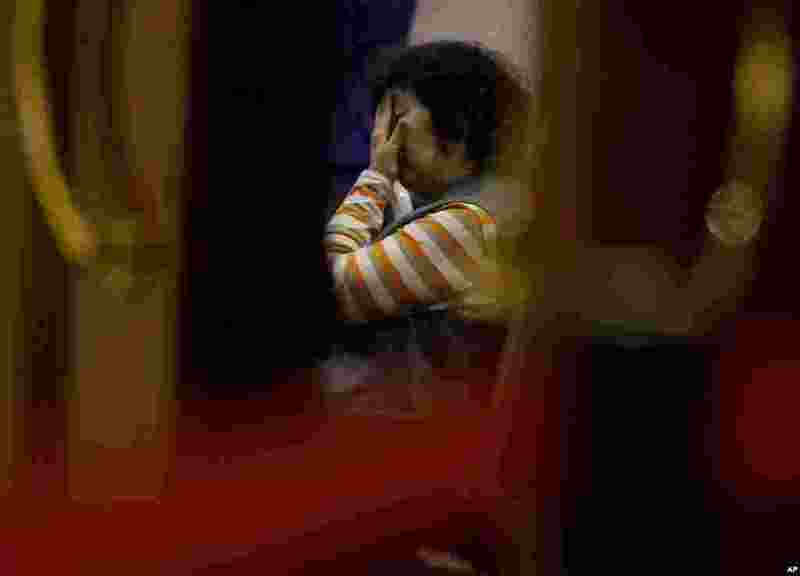 4 A relative of Chinese passengers aboard the missing Malaysia Airlines Flight MH370 waits for a briefing at a hotel ballroom in Beijing, March 18, 2014. 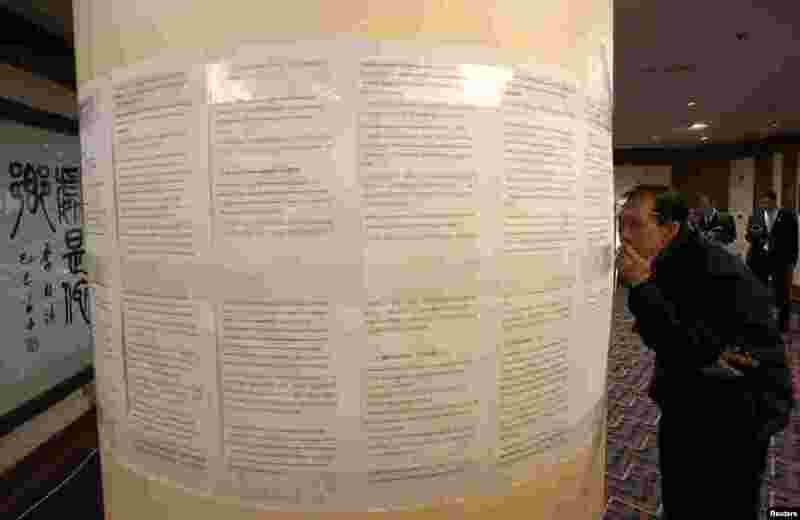 5 A relative of a passenger onboard the missing Malaysia Airlines Flight MH370 reads a statement from Malaysia Airlines at a hotel in Beijing, March 18, 2014. 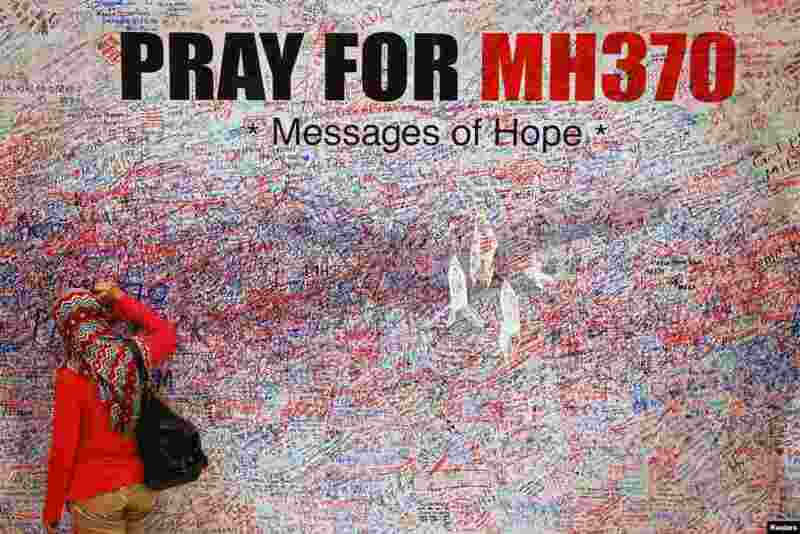 6 Students watch as a group of artists finish a piece based on the missing Malaysia Airlines flight MH370 that was painted on a school ground in Makati city, metro Manila, Philippines, March 17, 2014. 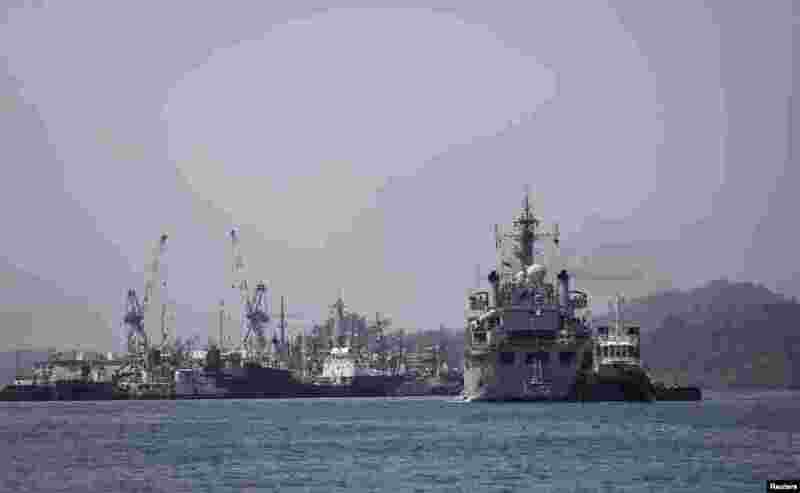 7 Indian Navy ship INS Kesari, involved in search operations for the missing Malaysia Airlines Flight MH370, arrives at the naval base in Port Blair, the capital of India's Andaman and Nicobar islands, March 17, 2014. 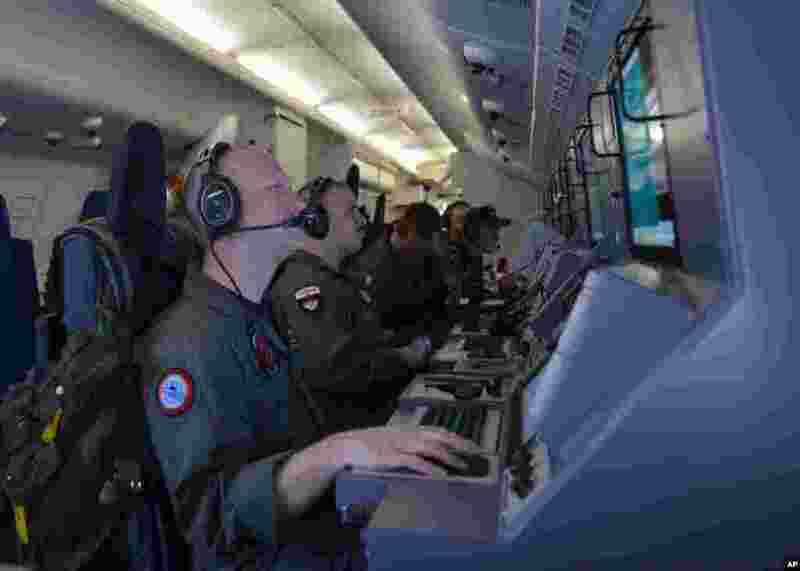 8 This U.S. Navy photo shows crew members on board a P-8A Poseidon aircraft assisting in the search for Malaysia Airlines flight MH370 in the Indian Ocean, March 16, 2014. 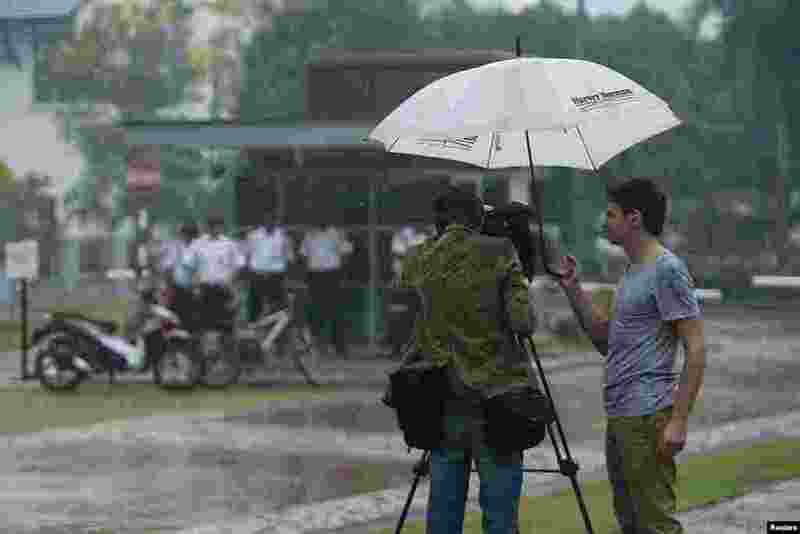 9 A journalist films the entrance of the compound where the home of pilot Zaharie Ahmad Shah, the captain of Malaysia Airlines flight MH370, is located in Shah Alam, near Kuala Lumpur, March 16, 2014. 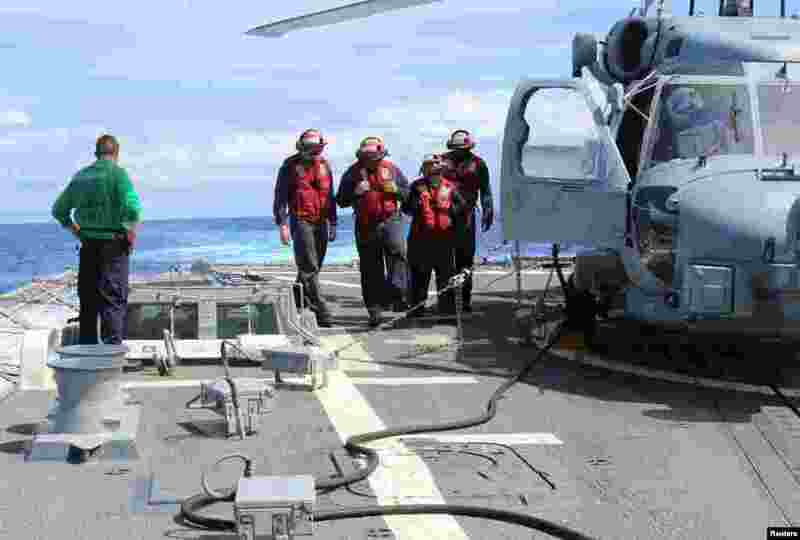 11 Sailors inspect the flight deck of the USS Kidd in this U.S. Navy handout picture, March 16, 2014.